And, if you really want to get technical, this picture is still missing some stuff. Basically what I always have done is just throw everything in my purse (to deal with later), and somehow, that “later” just never comes. 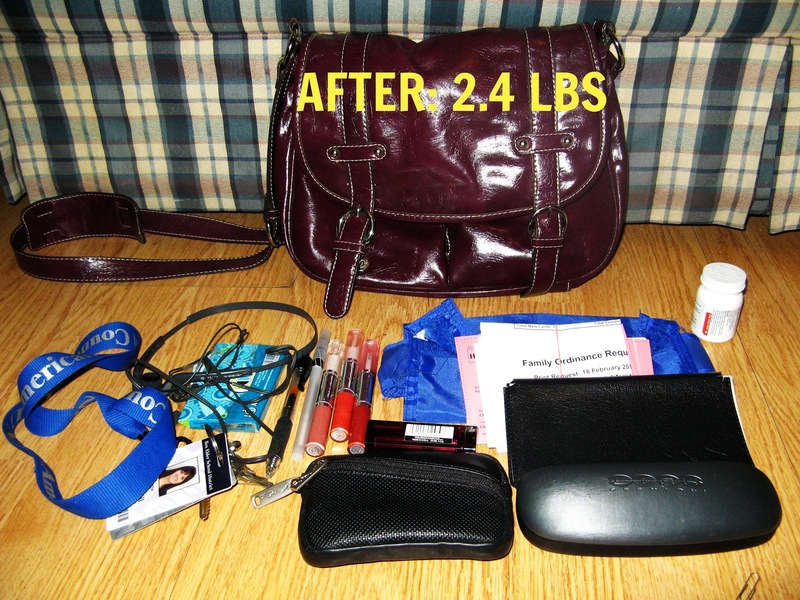 I will say this, though–I was actually kind of surprised that my purse was under 10 pounds. I realize that 8.2 lbs. is still an atrocious amount of weight to be carrying around on one side of your body, but in all honesty–I thought it would be much worse. But that’s where the good news ended. The bad news is that I had to start sifting through little bits and pieces of trash and papers and gum and who-knows-what to try and get to the bottom of what appeared to be nothing less than the bag of Mary Poppins herself. 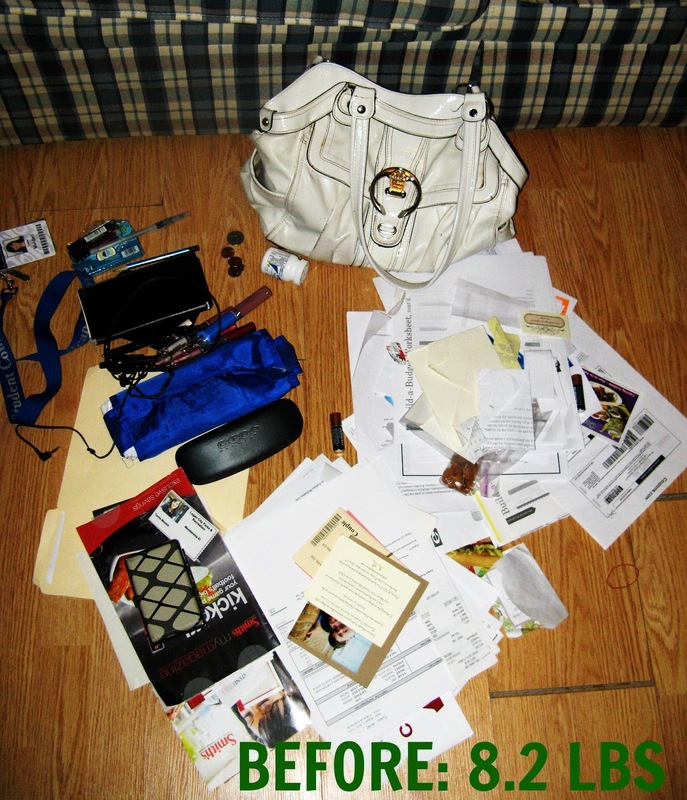 **Side note: I seriously ALWAYS put off cleaning out my purse because all those little bits of junk really freak me out. I think they’re unbearably disgusting, and I tend to repulse myself as I realize that I’m the sole person to blame. What are the essentials you keep in your purse? 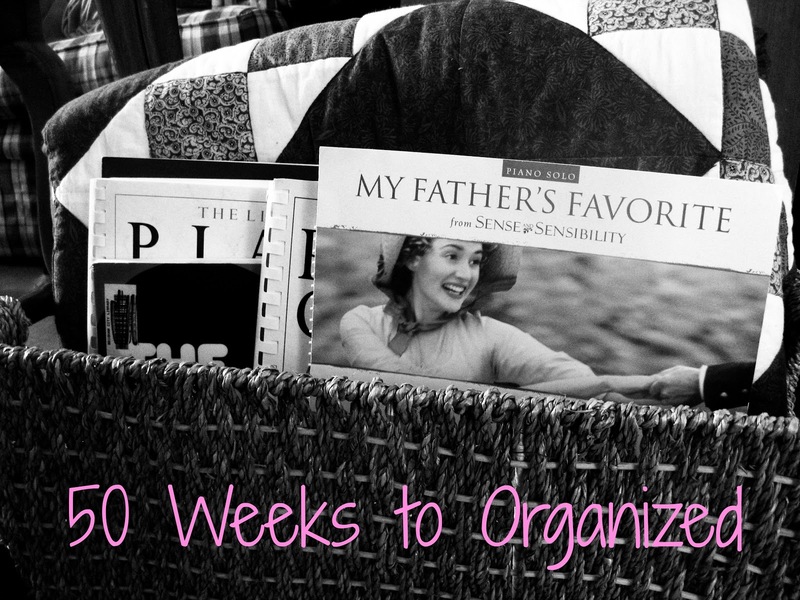 Also, every four months or so, I like to rotate to a different bag. Since I’d been carrying my white one around for that amount of time, I decided to switch over to a slightly smaller one I had in the front closet. Hopefully I can keep this up. I’m taking this one on now partly because I kind of need a smaller task to do considering that I’m wrapping up a very stressful trimester at the school, and I also want to take it on now because my inbox currently has about 300 messages in it that I haven’t filed away, and it’s driving me crazy. *Go through inbox and delete all emails you no longer need, including ones about events that have already occurred, emails from ex-boyfriends (no idea why I haven’t done that one yet), and emails containing attachments that you already have a copy of on your hard drive. *Go through your sent box and delete all emails you don’t need a copy of. I’ll be honest, I’m kind of excited for this one. My inboxes have been driving me crazy for months now. How do you stay on top of your email? Or do you just let it all pile up in your inbox, like me?